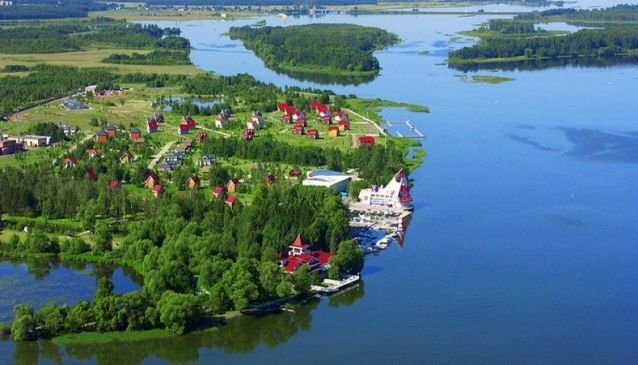 Zavidovo Complex - is one of the most prestige resorts not far from Moscow. It is comfortable for rest and work, raise children and just have pleusure here. Zavidovo Complex was established as a recreation place for the employees of the Diplomatic Corps in a picturesque nook to the North-West of Moscow and met its first guest more than 50 years ago. Those days it was the only recreational spot for Diplomats in Moscow countryside offering traditional Russian-style recreations such as fishing and hunting, picking up mushrooms and berries. Nowadays Zavidovo Complex is one of the most prestigious places around Moscow for family getaways and corporate events. The best place for children who can enjoy special active, entertaining and cognitive programs. The Yacht club is a luxurious addition of the recreation area offering a full scope of marina services. It's a right place for arranging corporate events either business, or entertaining. Well-trained personnel of the Complex will make your business meetings or holidays unforgettable, efficient and wholesome. Zavidovo Complex has its own proprietary style where on old traditions of hospitality meets high European standards of management.